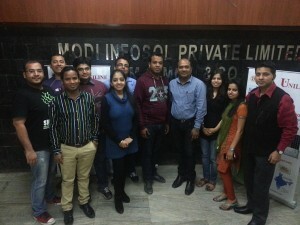 ItVoice | Online IT Magazine India » Uniline Pegs High, Teams up with Global Infotech & Modi Infosol to boost Channel Sales. April 20, 2019 3:10 am You are here:Home NewsUniline Pegs High, Teams up with Global Infotech & Modi Infosol to boost Channel Sales. 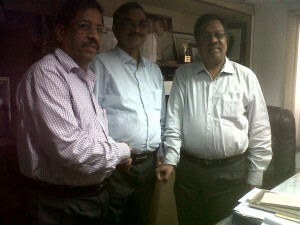 Uniline Pegs High, Teams up with Global Infotech & Modi Infosol to boost Channel Sales. Uniline has recently finalized tie ups with major distribution companies like Global Infotech with all India presence and Modi Infosol having a large distribution network in Delhi-NCR to bring about a quantum jump in its sales. Global Infotech and Modi Infosol which are customer oriented technology IT solution provider companies with a range of IT products and expert services will now have Uniline products as part of their large array of products . Modi Infosol is a value added distributor which will act as a Delhi NCR Distributor with more than 1500 resellers, while Global Infotech will act as National Distributor with a pan India presence with over 4000 channel partners. 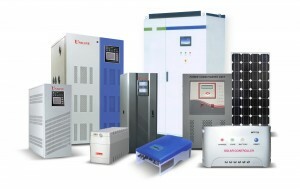 Uniline is targeting Rs 4-5 Crore worth of business per quarter with Global Infotech and penetrate the market with its large range of UPS products from 600 va to 2Kva. Modi Infosol has within its portfolio a spectrum of offerings starting from, video copiers, softwares, Laptops, PCs, servers, Printers, Video projection systems, storage and networking products to develop customized IT Solution for all sorts of customer needs. With the addition of Uniline in its portfolio Modi Infosol now has a power backup product in the array of products it distributes. Since Uniline is the largest home grown UPS manufacturing company, it has far more flexibility in product customisation. Uniline was chosen by Modi & Global for its rigid hardy products for Indian power conditions and substan tial brand presence in the market with the added plus for its wide range of products thereof against global competition. Moving forward Uniline plans to grow Channel Sales from 2Kva to 15Kva systems with proper training and guidance to channel resellers since they don’t want to just have PCs or Laptops under their banner. The brand is targeting a channel business growth from Rs 8 crore to Rs 12 crore with a 50 per cent jump this financial year.